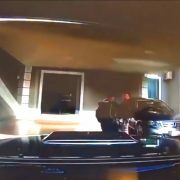 These retired cops should have known better, but because they let their ego get the best of them, one is dead and one is facing murder charges. If you carry a firearm, learn the lessons! If you value what we do at ASP, would you consider becoming an ASP Patron Member to support the work it takes to make the narrated videos like these retired cops getting into a shootout? https://get-asp.com/patron gives the details and benefits. What does this video teach us about de-escalation and self-defense? If you can win “the fight before the fight,” you win. You win that fight by minimizing your potential for being attacked in the first place! That means making smart decisions and living a life of awareness and readiness so that you don’t take unnecessary risks. Both of these retired cops took needless risks, and that’s sad. The first pillar of lawful, moral self-defense is “innocence.” (get a nutshell here: http://get-asp.com/wbbp or the whole concept here: http://get-asp.com/1fqe ) Innocence requires that we not be the instigator of the fight and that we not be the aggressor or the perpetrator. In some states when we attempt to leave or run we can re-establish innocence in self-defense, but states differ on that. 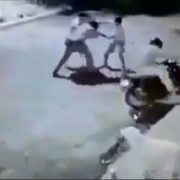 Regardless, getting into a fight is a poor basis for a self-defense claim later, so always live in such a way that innocence isn’t a problem for you. The second cop is facing murder charges because of the problem of innocence. Spiritual fitness is an important part of Active Self Protection. You don’t often get any advance notice of the last day of your life, but we see over and over that self-defense isn’t a guarantee of winning every fight you might be placed in. You want to be at peace with your loved ones and with God, because you’ll need that peace on the day that you meet Him. Since you can’t guarantee advanced notice, make peace today. I think that part of spiritual fitness is not being keen to get into deadly fights, either. This chaotic ambush shows how fast everything can go to hell in a defensive encounter. Lots to learn from every perspective here! If you value what we do at ASP, would you consider becoming an ASP Patron Member to support the work it takes to make the narrated videos like this ambush? https://get-asp.com/patron gives the details and benefits. What does this video teach us about defending ourselves against an ambush? He made a compliance sandwich with a side of chill for sure. 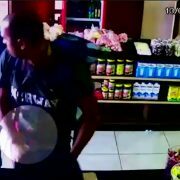 If you recognized the jammed gun, would you have fought this armed robber for it or complied? 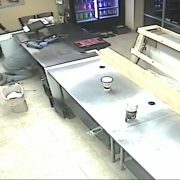 If you value what we do at ASP, would you consider becoming an ASP Patron Member to support the work it takes to make the narrated videos like this clerk staying calm during an armed robbery? https://get-asp.com/patron gives the details and benefits. Because the clerk was aware, he was able to get there just a BIT sooner than the armed robber, and it made all the difference. Still, some more knowledge and skill with his firearm would have helped him! If you value what we do at ASP, would you consider becoming an ASP Patron Member to support the work it takes to make the narrated videos like this clerk beating the armed robber to the shot? https://get-asp.com/patron gives the details and benefits. 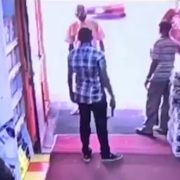 What does this video teach us about defending ourselves against armed robbers as a concealed carrier? Part of your training must be knowing when to use verbal commands, and when to abandon verbal commands and move to physical or deadly force. Many times self-defenders (and LEO) get caught in a loop of issuing the same command repeatedly to no effect. Using verbal commands is an important part of your force options training, and part of that training in verbal commands is knowing when to talk and when to stop talking and act. 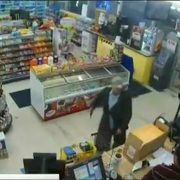 The clerk did a good job against this armed robber of not talking when he needed to shoot nor shooting when he needed to give commands. You must know your firearm, how it functions, and how you’ll respond with it in the moment of need. Pressure testing your firearms manipulations in force on force and other training classes is critical because you need to know that you can get your firearm in the fight and keep it in the fight! If your habits will inadvertently drop the magazine or your grip will cause the slide not to lock back on empty or other induce other malfunctions, you do NOT want to find that out when the balloon goes up. If your reload takes more than about 3 seconds because of the position of your spare or other factors, make changes until it’s timely. Do you think that this concealed carrier did the right thing? The armed robbers had the drop on him for sure, but he might have had some opportunities if he was really sharp. Still, this wasn’t a terrible outcome. If you value what we do at ASP, would you consider becoming an ASP Patron Member to support the work it takes to make the narrated videos like concealed carrier being abmushed? https://get-asp.com/patron gives the details and benefits. Don’t get into verbal battles with armed robbers, carjackers, or other attackers. As Greg Ellifritz points out, those verbal challenges are taken as personal attacks and lead to a MUCH higher chance of being hurt in a violent encounter. Learn the lessons he gives in that article about how to provide a “face-saving exit” and not get shot by challenging their ego! The concealed carrier didn’t challenge the armed robbers, and that was very wise. 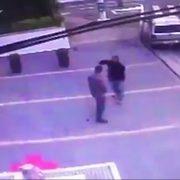 Feigning compliance can be an excellent strategy in an armed robbery to buy you time to find your opportunity to defend yourself. The hands-up, palms-out posture tells the armed robbers that you’re compliant, and might give you the opportunity to defend yourself when they stop focusing on you. You can see that the concealed carrier here used that compliant posture to get the armed robbers to consider him a non-threat. That was good. It’s a morally acceptable choice in an armed robbery to simply give the armed robbers what they want. Only you can decide in the moment if the attacker is using their force multiplier as an intimidation tool or if they really intend to do you harm, and giving up your phone or wallet or register to escape the danger zone can be an acceptable choice. Either way, you must count the potential cost of your life vs. your possessions and take the best action that protects your life, which is infinitely more valuable than your things. A big part of emotional fitness is staying calm under duress and maintaining your ability to think and to act. The opposite is to panic and to therefore lock up and be unable to take good steps to protect yourself. One physiological hack that you can use to calm yourself, slow your heart rate, and return your mind to thinking is what is known as “combat tactical breathing.” Deliberate breathing controls your adrenaline response, slows your heart rate, and gives you a focus to start thinking again. However, be aware that breathing by itself isn’t the end; there are more techniques to center your awareness and bring you into a mental and emotional place of peak performance. With your mind and soul in control you can then take appropriate actions to protect yourself. This is a good reminder of the dangers of getting involved when you don’t have to; armed robbers don’t respect anyone. If you value what we do at ASP, would you consider becoming an ASP Patron Member to support the work it takes to make the narrated videos like this off duty officer being counter-ambushed? https://get-asp.com/patron gives the details and benefits. 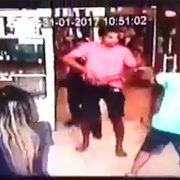 I think this is a good defensive gun use against an armed robbery. Make sure to read the news story to get some context! If you value what we do at ASP, would you consider becoming an ASP Patron Member to support the work it takes to make the narrated videos like this manager stopping an armed robbery in its tracks? https://get-asp.com/patron gives the details and benefits. You must accept that danger exists and that it can happen to you. This is the foundational core of spiritual fitness and the first step in taking proactive steps to protect yourself and your loved ones. If you live in a fantasyland that nothing bad can happen because nothing bad has happened in the past, you’re setting yourself up for a terrible letdown. Notice in the news story that the manager knew there was a chance of armed robbery in his store, and therefore was prepared. When talking about stopping a threat, we must recognize the legalities of the defensive display of a firearm. (and remember, I am not an attorney and am not offering you legal advice) Mas Ayoob has a good discussion on when it’s appropriate and when it’s not. In most states, “brandishing” a firearm is an offense of one kind or another, and again in most states that requires the exhibition of a firearm in a rude, careless, angry, or threatening manner. There’s an excellent Reddit thread on the defensive display of a firearm that all self-defenders should read. If you read a two-part question and answer from the Armed Citizens Legal Defense Network here and here, you can see that the laws governing defensive display of a firearm differ from state to state. Therefore, it is your responsibility as the defender to know the laws of your jurisdiction and live within them. Generally speaking you can use a firearm against an imminent threat of deadly force or grievous bodily harm, and you can display that firearm in self-defense if that imminent threat is reasonably perceived ahead of time. In my state of Arizona we clarified that statute in 2009 to provide broad leeway for self-defenders, and others have taken note as well. A firearm is a tool of last resort, and this guard is a good reminder of why we say not to bring a firearm out unless it is imminently necessary. If you value what we do at ASP, would you consider becoming an ASP Patron Member to support the work it takes to make the narrated videos like this guard escalating a conflict from physical to deadly? https://get-asp.com/patron gives the details and benefits.